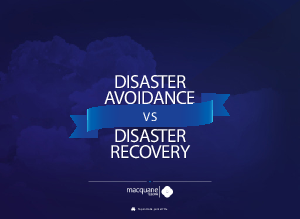 Disaster Avoidance (DA) and Disaster Recovery (DR) are both critical elements of a general disaster-coping strategy. Disasters can strike at any time and have devastating consequences on the systems and profitability of an organisation. Companies must be prepared in order to minimise downtime and reduce the likelihood that disasters will strike. Download now to uncover the advantages of adopting a comprehensive disasterpreparedness strategy.